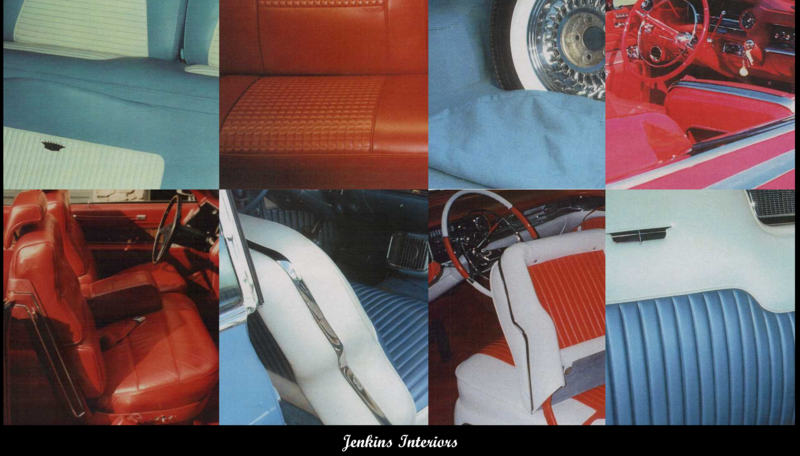 Jenkins Interiors began in 1977 when Mr.Jenkins started restoring his own 1941 Buicks with talented people here in North Wilkesboro N.C. The interiors were done so well that by 1983 Jenkins started doing other peoples cars well as our own. Shortly after that, Cadillac/Lasalle interiors were added to our list of designs and accomplishments. Ever since then we have specialized in convertible and hardtop interiors of Buick & Cadillac/Lasalle vehicles. To date we have done a range of Interiors from 1926 to 1976. Mr. Jenkins passed in 2013 and I, Lewis Hill Jenkins Jr., have continued the tradition of specializing in leather & cloth interiors, carpets, mats, trunk kits, tops, wells, boots, dashes and dynoc transfers for dashes and doors! I have also expanded our portfolio to include Oldsmobile, Pontiac, Chrysler and Packard interiors! Please feel free to call me on your next interior project!